Because we hire the Balwyn Community Centre, the City of Boroondara has identified BirdLife Melbourne as an interested stakeholder in the proposed Chandler Park Wetland. BirdLife Melbourne Members are invited to have their say. For details refer to below for the letter received and the two page flyer that was enclosed. In November 2013 I posted a note on the Blog asking ‘When will we get to 300?’ At that time a total of 295 species had been seen on MELBOCA/BirdLife Melbourne Outings since the first outing bird list was posted on what is now the BirdLife Melbourne Local Website. After two years, I am very pleased to announce that this target has now been achieved, with the sighting of a Dollarbird at Chinamans Bridge, on the Bailieston Area Weekdays Outing (Outing No 496) 17 November 2015. The bird was observed by Geoff Russell, John Prytherch and Leonie Robbins. This was a good sighting of a Dollarbird, close to the southern limit of its range. It has been a long process reaching the total of 300 species. We started at a great rate of knots but the species count slowed down, almost coming to a halt. Outing No 1 to Yellingbo on 4 February 2007 where 37 species were seen. For a long time the number of species seen exceeded the number of outings, but this came to a halt in 2012. A Spotted Harrier, Species No 270, seen on Outing No 268 to the ETP on 27 May 2012 was the last new species to be seen when the number of species seen exceeded the number of outings. From November 2013 it was a slow grind to get the next five species. The list slowly grew with Gull-billed Tern (Species No 296 on Outing No 420), Ruff (Species No 297 on Outing No 430), Painted Honeyeater and Regent Honeyeater (Species Nos 298 and 299 on Outing No 483, and finally Dollarbird (Species No 300 on Outing No 296). Is a new target of 310 species realistic? I will have to wait and see. 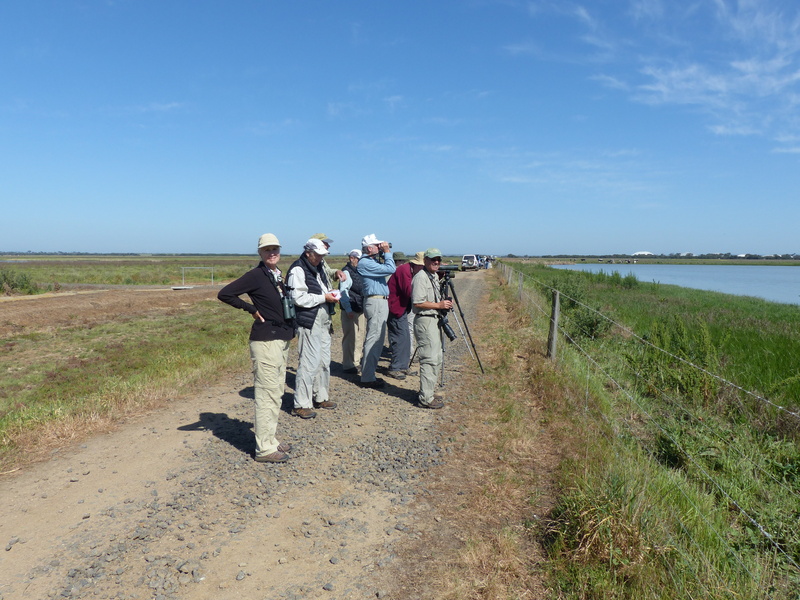 In October 2013, BirdLife Melbourne was asked by Legacy Tours if we could assist with taking a party of North Americans birding at the Western Treatment Plant and the You Yangs Regional Reserve. Over the following months there was a number of emails exchanged and the date was set for 12 October 2014, for a group of 11 birders. As I drove down the Monash Freeway on my way to Werribee I thought how lucky are we to have cracked such a wonderful day weatherwise. The hot air ballooners must have agreed as I could see six in the clear blue sky. We met up at about 8:20 am at the Paradise Rd gate in Pt Wilson Rd, where my drivers for the day, Gina Hopkins, Dave Torr and Euan Moore and Jenny Rolland were waiting for us. Fortunately Gina had spent the previous Tuesday at the WTP and knew where the birds were. Michael from Legacy Tours had checked through Gina’s list of sightings of the previous Tuesday and highlighted the target species so that we didn’t waste time. We headed for the T Section Lagoons with a few stops along the Pt Wilson Rd to check out what was in the plantation. To our surprise and everybody’s delight, Jenny spotted a Tawny Frogmouth. All the drivers were quite surprised as for all it was their first sighting of a Tawny Frogmouth at the WTP. 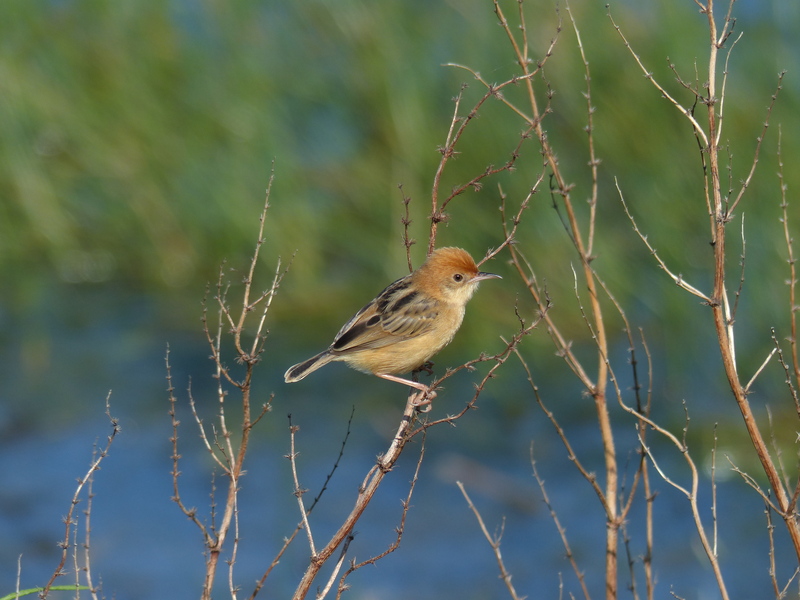 T Section was very productive with Red-necked Avocets, Marsh Sandpiper and the Golden-headed Cisticolas singing strongly and happy to come very close. We spent some time at the regular crake spot, and eventually everybody managed to see a Baillon’s Crake. Next stop was Western Lagoons where we observed Royal &andYellow-billed Spoonbills and a pair of Brolga. As Banded Stilt was a high priority we drove down Austin Rd to see a very large flock of Banded Stilts feeding in the shallow water. As a bonus Zebra Finches sat on the road or the fence wires to give everybody a good look. The day’s list was quickly mounting and we hadn’t yet been into the main parts of the WTP. A quick conference was required to review the plan for the day. It was quickly decided to revert to Plan B, abandon the You Yangs and return to the WTP after lunch. This eased the pressure on the drivers as we had more time to do the WTP justice. Because of the extra time we were able to do the full circuit back to T Section which was a very fortunate move. Another treat, about eight Gull-billed Terns at T Section, that were not there on our first visit. Eight is a large number of Gull-billed Terns for the WTP. We squeezed in a quick trio to Kirk Pt to check out what was on the rocks, and hopefully pick up a Striated Fieldwren. One was heard calling loudly but would not show, but a Singing Honeyeater did. Next we joined the visitors on their bus and headed to Lara for lunch and a toilet stop. While waiting in the loo queue, Jenny heard some Purple-crowned Lorikeets in a flowering ironbark. Something to look forward to after lunch. Lunch, provided by Legacy Tours, was at a bakery and some of the North Americans tried that famous Aussie food of a pie and sauce out of a paper bag. After observing both Purple- crowned and Musk Lorikeets it was back to the WTP to see some ducks. We slowly ticked off most of the ducks but could not find the Freckled Duck that was there on Tuesday. The plan was to be back at the bus by 5:00 pm, but going to Dave’s sites for successful looks at Blue-billed Duck and Australian Spotted Crakes, it was obvious that we were going to be late. This wasn’t helped when Euan and Jenny’s car spotted the only Cape Barren Goose for the day, requiring the three other cars to do a U-turn. We eventually made it back to the bus at 5:45 pm. The North Americans had a day to remember and were very appreciative of BirdLife Melbourne’s efforts, with Legacy Tours giving BirdLife Melbourne a very generous cash donation. Final tally for the day? Not quite sure but very, very close to 100 species. My thanks to Gina, Dave, Jenny and Euan for showing the visitors around one of Melbourne’s great birding sites. What species is seen most on outings? 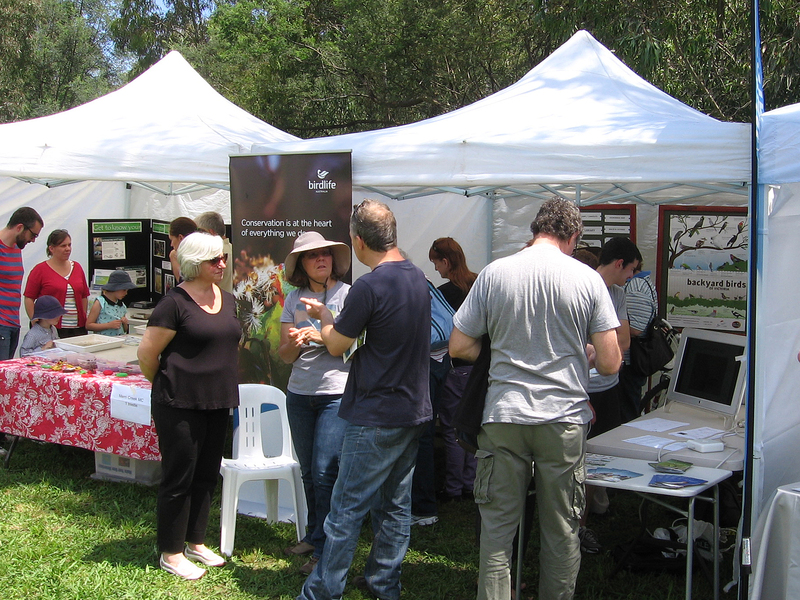 BirdLife Melbourne has recently completed 400 outings for Members. The Outing Bird Lists are posted on the BirdLife Melbourne Local Website at http://www.birdlifemelbourne.org.au/outings/. 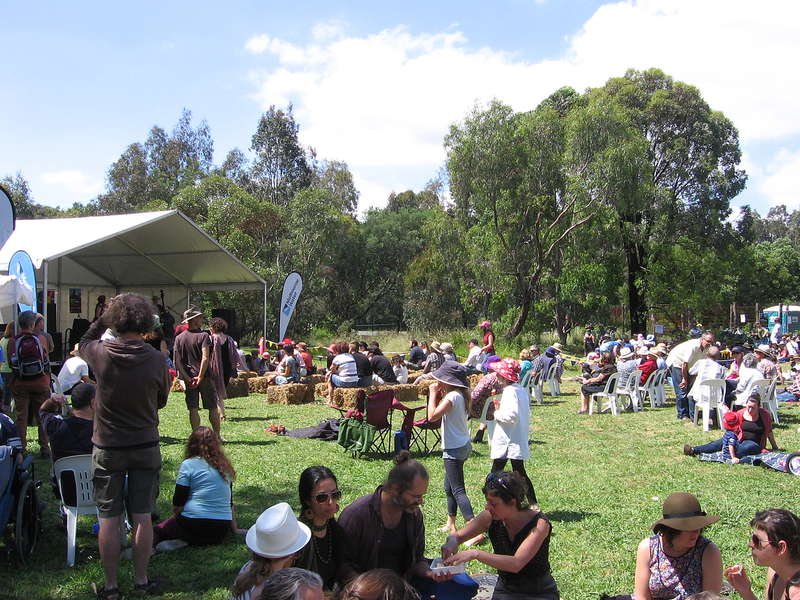 Outings go back to MELBOCA days, with the first posted outing Yellingbo Reserve on 7 February 2007. Outings have ranged over a wide variety of habitats and distances from Melbourne. The furthest outing from Melbourne was the Photography Group Weekend Outing to Echuca and Moama, and the closest, the many outings to the Royal Botanic Gardens, Melbourne, a popular site for many leaders. Most outings are within 100 km of Melbourne, with only 15 being beyond this limit. Bird Lists have been received for 396 of the outings. Name in order, the five species that have been seen on the most consecutive outings. BirdLife Melbourne again organised an outing to the Western Treatment Plant (WTP) after the BirdLife Australia AGM for interstate and country delegates attending the Network Day and the AGM. Five cars were required for the 14 delegates (a big increase on the five who went to the WTP last year). We met at the Paradise Rd Gate at about 12:00 noon, visited Western Lagoons, T Section Lagoons and travelled to the Borrow Pit via Beach Rd and the coast route. There were numerous stops to observe the birds along the way at all the known hot spots. The outing ended at about 4:00 pm as most delegates had planes or trains to catch to return home. A total of 92 species were seen or heard on the day, a very acceptable total for four hours when many of the summer waders were absent. Unfortunately we could not produce an Orange-bellied Parrot or Northern Shoveler like last year. 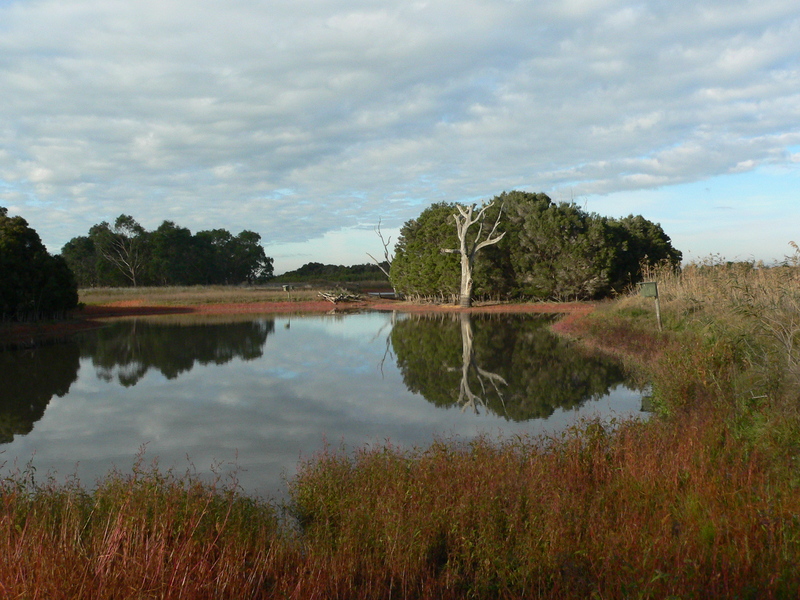 To see the bird list for the day go to http://www.birdlifemelbourne.org.au/outings/site-lists/wtp-werribee.html. For about two thirds of the delegates it was their first visit to the WTP and not surprisingly they were most impressed with the size of the site and the number of birds. Many expressed a wish to visit the site again. My thanks to my drivers, Greg Buzza, Euan Moore and Jenny Rolland, Sonja Ross and John Stirling who made the day possible. When will we get to 300? Bird lists from outings have been posted on the MELBOCA Website (revised to the BirdLife Melbourne Local Website following the amalgamation) since Outing No 1 at Yellingbo on 4 February 2007. This outing produced a list of 37 species. For many years the total number of species seen on outings was always greater than the number of outings. This was undoubtedly helped by the Photography Group venturing to Bendigo and Echuca for extended outings. However, slowly but surely, and finally on Outing No 270, again at Yellingbo, on 3 June 2012, the number of outings and the total number of species seen became equal. Since then the gap has widened, with the number of outings (now 370) steadily surpassing the total number of 295 species seen. But it hasn’t all been bad news as outing participants have seen some great birds to add to our list in 2013. These include Northern Shoveler, Southern Giant-Petrel, Grey Goshawk, Arctic Jaeger, Orange-bellied Parrot and Sooty Owl. As I post bird lists from recent outings I now wonder when we will get the extra 5 species to take us from our current number of 295 to 300. I look at the list of species seen and wonder what is so hard, with a bit of determination and a few extra kilometres, in finding a Terek Sandpiper, a Ruff, a Gull-billed Tern, an Eastern Koel, a Dollarbird, a Grey-crowned Babbler or a Spotted Quail-thrush, 5 of which are probably the most likely to get us to 300. Of course if one of the outings was to venture on a pelagic we could get them all in one go. It would just need a couple of the frequently seen Albatrosses, a Storm-Petrel, a Petrel and a Shearwater other than Short-tailed Shearwater. Not a big ask for a more adventurous outing. The BirdLife Australia Working List of Birds now includes Greylag Goose and Muscovy Duck, but I am not that desperate to accept these species without concrete evidence that these aren’t just stray ferals and are in fact a member of a sustainable wild population. I have just about dismissed these species as potential additions. So that is the challenge for outing leaders – another 5 species to get us to 300. When will it happen?